Our Favorite Real Estate Agent, Gary Lawson, Knows How To Find a Creek-side property! Here's a view that Gary showed to a buyer. Now that view has become the buyer's dream come true. Click on this creek scene to see more. If you are interested in some wonderful property with a view out your window like this, or any other kind of real estate, please call MY AGENT, Gary Lawson, at 1-530-824-2900. 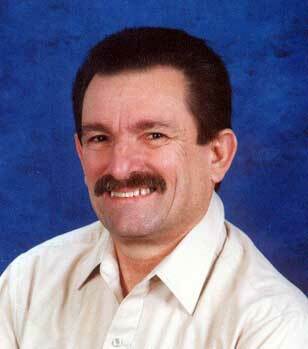 You can find him at Jamison Properties http://www.jamisonproperties.net/, 412 Third Street, Corning, California 96021. This web page has been constructed as a personal tribute to our favorite real estate agent. This page has NOT been commissioned or even sanctioned by our favored agent. We aren't getting paid or remunerated for this page. We are just happy customers who want more people to have a pleasant real estate experience! Gary has been such a super agent to us that we just wanted to tell everyone about him and say, "Thank you, Gary, for the wonderful job you did helping us sell our home and helping us find a new property in Tehama County!!" By the way most outsiders mis-pronounce the name of our county. It is pronounced TUH-HAY-MUH. We like our agent. He helped my wife and I with our real estate needs and he aided our son and daughter-in-law in finding their dream home too. In fact that is how we met Gary: my son and daughter-in-law recommended him to us. We are so glad we went with him! We appreciate his expertise and his honesty. We like Gary because he isn't one of those pushy, in-your-face agents. Instead Gary has been kind, considerate, professional, patient and easy going. He put up with all our wants, desires, needs and questions. He patiently helped us through all of our uncertainties and helped us figure out the whole real estate adventure. He helped us wade through the "forty/eleven" State forms and explained all the whys and wherefores to us. He was so long suffering. He always had a smile for us. He cared about our needs and our concerns. We want to recommend him to any and all who are looking for a home, ranchette, creek property, horse property or who might have property to sell in Tehama County, California. P.S. : If you would like to know a bit more about Tehama County, California read on. There are beautiful cooling orchards in Tehama County: walnut, almond, plum, olive and even pecan. Lassen National Park http://www.nps.gov/lavo/ is just minutes away. Lake Shasta http://www.shastalake.com/ is moments North on Interstate Five. The Whiskeytown recreational area http://www.nps.gov/whis/ is perhaps 50 or 60 minutes away. Mount Shasta and Mount Lassen can both be seen from Tehama County. 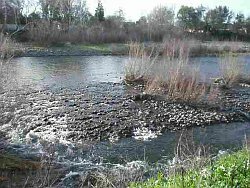 There are so many beautiful streams and creeks in Tehama County that feed into the Sacramento River. When you are passing through our County tune your VHF radio scanner to 161.310 MHZ and hear Union Pacific Dispatcher 64, who from Omaha, Nebraska supervises the TRAINS passing through the County! You'll be able to listen to the engineers and conductors getting track clearance from Omaha. There must be about 40 or 50 trains a day moving important freight and two Amtrak passenger trains a day too. Real Estate Property info Red Bluff CA 96080, Los Molinos, CA 96055, Corning, CA 96021, Vina, CA 96092, Gerber, CA 96035, Lake California, CA 96090, Rancho Tehama CA, Mineral, CA 96063 and the famous Bend area where the Sacramento River turns around and flows NORTH!! Tehama County, California, 114 miles North of Sacramento, 25 miles South of Redding California. This page constructed by clint. You can reach me at the following address.